It's been a fortnight since my hyperbolic and overly enthusiastic blog post about inspiration and my return to running....so how am I doing now? Well, actually, pretty well. My run streak didn't last - I got to 20 days and 116 miles and decided that the extreme tightness in my leg muscles and 24/7 pain from rapidly developing shin splints wasn't worth the glory of a streak, and so took a couple of days off. It was a good decision, and I came back to training physically refreshed. Although I wasn't waxing quite as lyrically about every run after the streak ended, and I've had a few real shockers, I'm still pleased with my progress and in the last month (since 23rd September when I started running again) have racked up 162 miles. 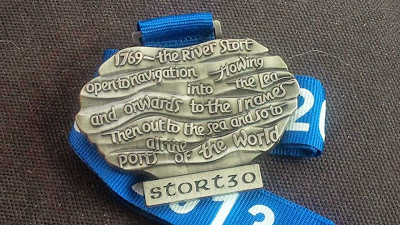 The route is mostly trail, along some some pretty countryside, and the support from Challenge Running is excellent - the only downside last year was the section that was incredibly muddy...and I'd turned up in road shoes. How I didn't end up on the floor or in the river was a miracle ;) This year, I will be in trail shoes, probably my Salomon Speedcross. 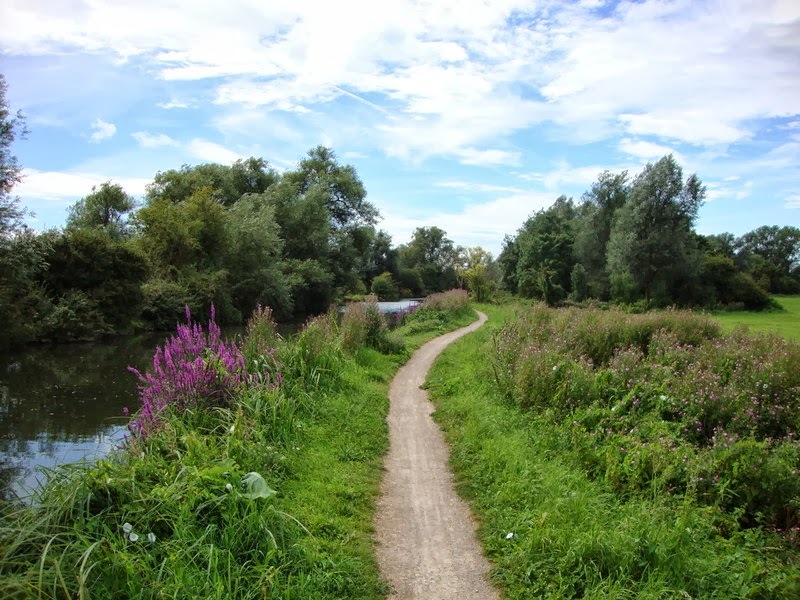 A section of the Stort 30 route...when it's been dry! I'm really looking forward to the race, particularly because a lot of friends are going to be there and it'll be lovely to see people, in person, who most of the time I only talk to online. The problem is that I'm going to be attempting to run 30 miles with just 5 weeks of training in my legs! But that's ok - I've resigned myself to the fact that I'm going to be way off last year's time, and my sole aim is to finish...but I'm also realistic that just finishing 30 miles on so little training is going to be painful, and very hard work. Anyway, for my taper week, I had a speedy 5 miler last night, ran a slow 6 miles this morning before work, and I've got a massage booked for this afternoon. If I thought my 19 mile training runs were painful, I have a feeling my massage will give me a new sense of perspective! To round off the week, on Friday I'm taking part in a Poppy Run - a 5km charity run around Battersea Park, in aid of the Poppy Appeal for the British Legion, and then it's the big day on Sunday. The next time you'll hear from me, I'll either be in pieces because my ankle didn't hold out in the race, because I didn't make the cut off time, or some other disaster befell me (like slipping on the muddy river bank and falling in the water maybe!) 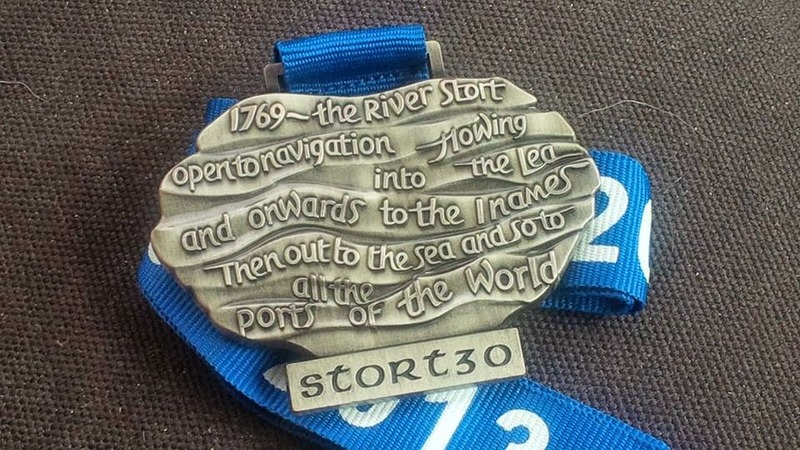 or absolutely over the moon because I'll have done it - I'll have finished and will be the owner of one of these: the fabulous 2013 Stort 30 medal! Nice blog Naomin. 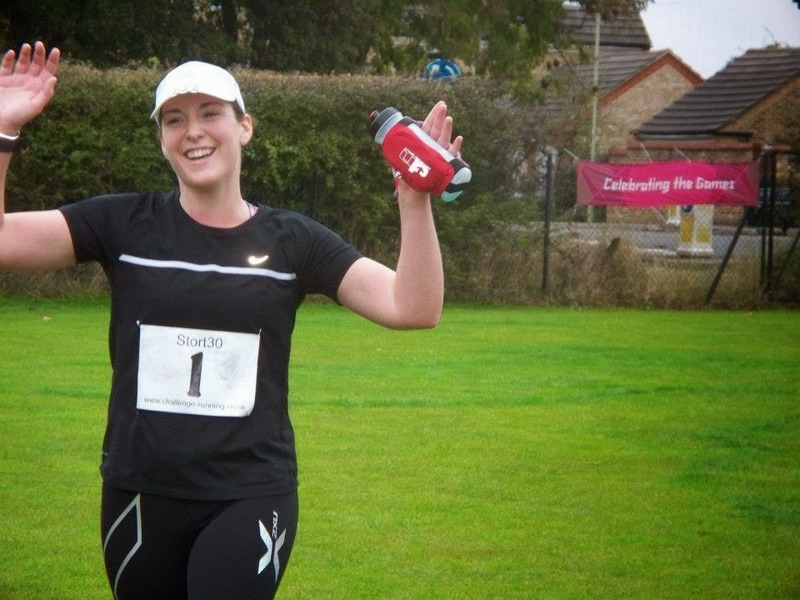 it's nice to hear your experience of the race, and congrats on your first place female last year. I'm also taking part this Sunday, i'll be number 80 (Lee), don't think i'll be looking at any first place position thought :) just finishing is going to be good enough for me. Cheers Paul :) See you Sunday. Great blog, see you Sunday.